The 2012 theme was based on Toronto ideologies. Filmmakers were to use cinematic genres to examine myths, cultures, and ideologies of the city. Observations on cultural clashes, the pressures of living in an urban metropolis, the people's relationship with their surroundings and how it affects their daily lives are inspirations behind entries of this challenge. 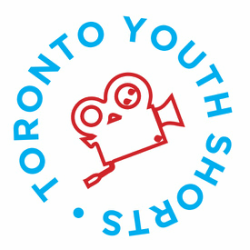 Fifteen teams of local young filmmakers registered to compete, twelve made it back with a completed film, but only seven within the time limit to compete for the Visual Thesis Award. The lives of four people connected through the city parallels the connectivity between neighbourhoods and sites. Toronto is a city of many secrets, and in an effort to discover its truths, 3 young fellows get entangled. An exploration of struggles that manifest into physical violence stemming from a primal, ancient and mystical source. Three individuals with stories based upon different familial histories and experiences cross paths in a multicultural city. Coffee culture encompasses a wide range of tastes with an evolving social pattern, just like many aspects of the city.